Home Blog London is a roost for every bird. 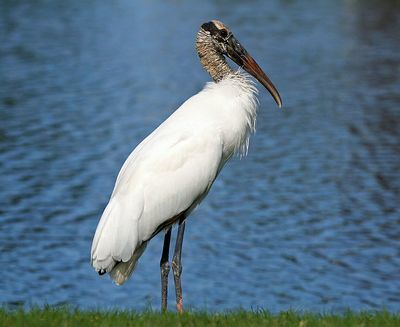 The Wood Stork (Mycteria americana) is a large American wading bird in the stork family Ciconiidae. It was formerly called the “Wood Ibis”, although it is not an ibis. The adult is a large bird 33-45 inches tall with a 58-71 inch wingspan. Males typically weigh 5.5-7.3 lbs, about a pound more than females. Quotation: London is a roost for every bird.